Why Is Poverty So Surprising? When I learned recently from the census data that 31 percent of the people in Provo were living below poverty level, I was surprised. After several conversations with friends and family, I also discovered I’m not alone; it really is kind of shocking to think of every third person in the city living on very low wages (or in some cases no wages at all). In reality, however, segregation according to income levels or so-called social class shouldn’t be too surprising. This is a common topic in city-related writing — indeed poverty is one of the primary focuses among urbanists — but Richard Florida recently offered a short and useful breakdown that may offer insights applicable to Provo. Writing specifically about Vancouver and citing a new study, Florida points out that in reality three cities exist: an affluent one, a middle class one, and a disadvantaged one. Provo and Vancouver are very different places, but the general surprise at Provo’s poverty levels — and even the median income levels, which are low compared to other cities — suggests that there is perhaps some income segregation going on here as well. It’s dispersion is certainly unique to Provo, but if it exists that segregation could pose an obstacle to actually making real change. It’s hard to fix something, after all, that seems invisible or only barely extant. And in any case, as I’ve been arguing all along improving these levels in Provo will benefit everyone. Provo has a lot of very well educated, high skill people. It also has a high poverty rate. Is it possible that people in those demographics don’t cross paths very often? Could segregation be an impediment to finding real solutions? 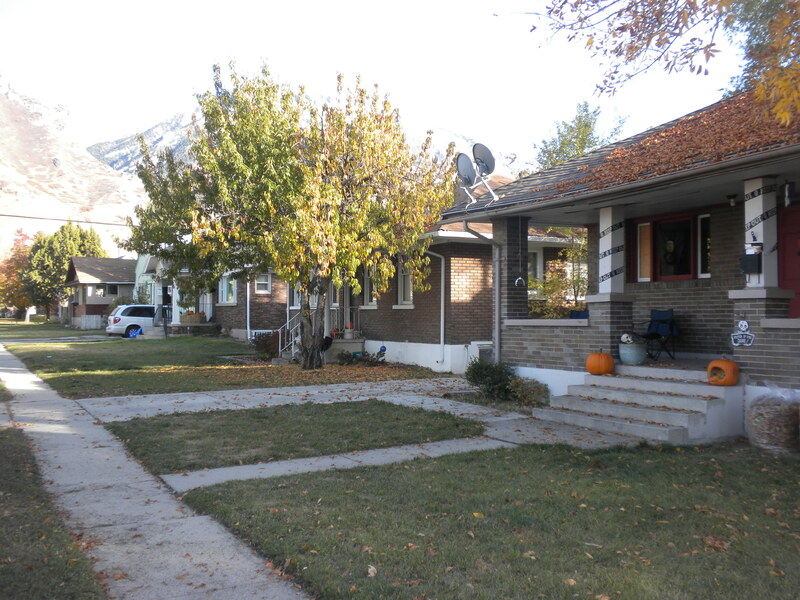 In an effort to better understand why Provo differs from other cities of comparable size and composition, I recently combed through some census data. As it turns out, the government provides a handy QuickFacts page for every city in the U.S.
My goal in looking at this data was to understand why Provo doesn’t have as thriving a downtown, for example, as other cities like Boulder, Colorado. Boulder and a handful of other cities often come up in conversations about how to improve Provo, and there seems to be a sense that if Provo could just feel more like Boulder it would be similarly successful. 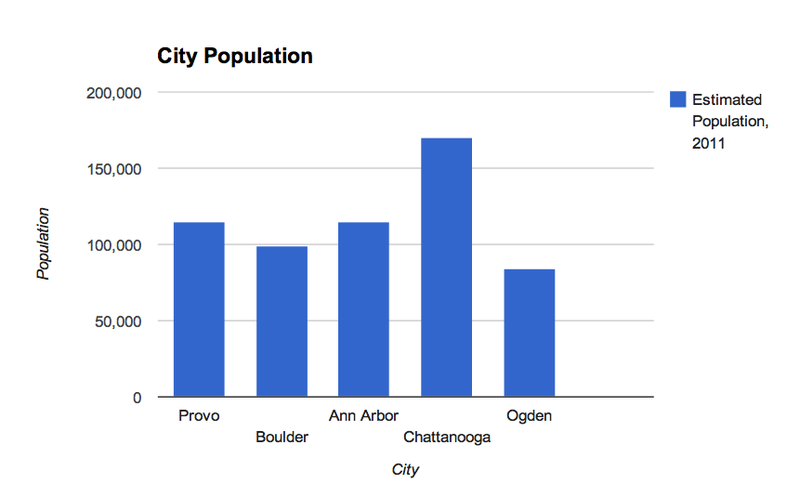 I compared Provo to four other cities: Boulder; Ann Arbor, Michigan; Chattanooga, Tennessee; Ogden, Utah. All of these cities have colleges, comparable population sizes, and generally anchor medium-sized metros orbiting larger cities. Moreover, I included Ogden due to its proximity to Provo and its relationship to Salt Lake City, and Chattanooga because it’s one of the few cities of its size that consistently pops up in urban-oriented news. How does Provo stack up against other cities? 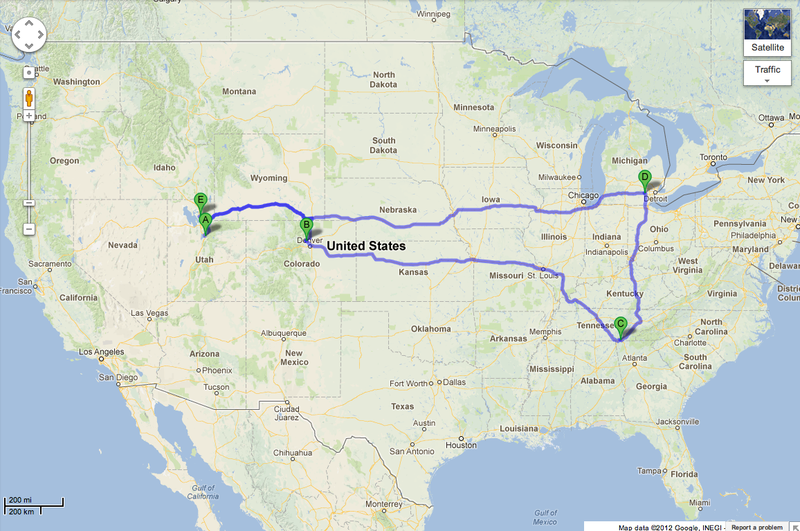 The points on this map indicate Provo, Boulder, Chattanooga, Ann Arbor, and Ogden, respectively. What I found wasn’t encouraging. 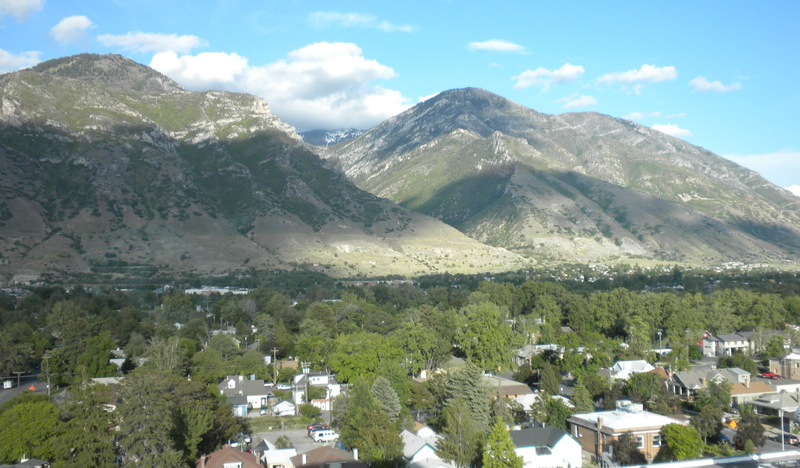 First, with 115,321 people, Provo is the second largest of the five cities and closest in size to Ann Arbor. The problem here isn’t just low income. 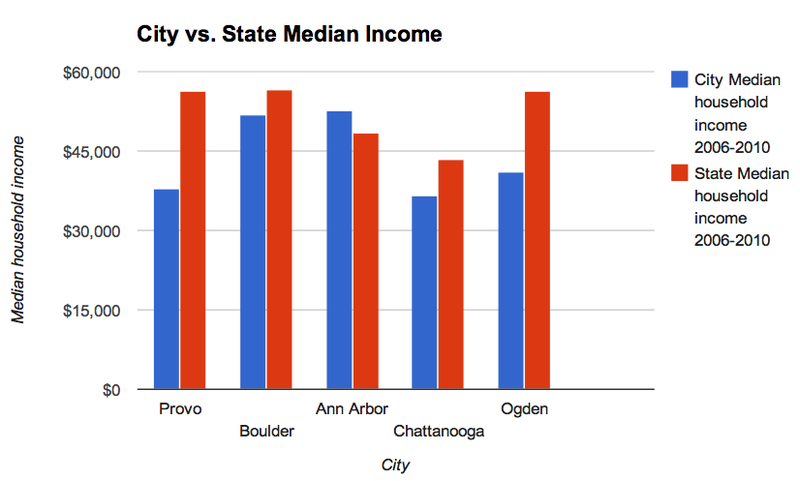 As the second graph shows, the median income in Provo is also lowest of all five cities relative to its state. In other words the disparity between incomes in Provo and the surrounding community is larger than in any of these five cities. Or, put another way, Provo is the poorest of all five cities. Only Chattanoogans may make slightly less, but that’s more characteristic of their state and, presumably, the lower state income levels indicate a lower cost of living. 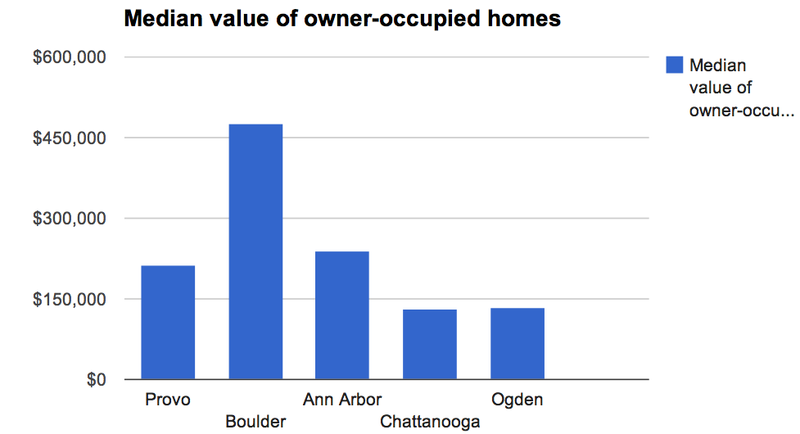 It’s also worth pointing out just how much richer Boulder in particular is than Provo. The median income in Boulder is $13,887 higher than in Provo, and it’s much closer to the state median income. Given these figures, it’s no wonder Provo struggles. People in Provo have thousands of dollars less to spend, meaning there simply isn’t as much wealth to support a vibrant retail sector, the arts, or entertainment, for example. Lower income also means less tax revenue, among other things, which translates into less money for the government to spend on various projects. Frankly, it’s a wonder Provo has managed to compete at all given its comparably limited resources. I also have to admit I was surprised by these results; I knew that the median income in Provo would be lower than it is in Boulder or Ann Arbor, but I didn’t expect such a significant disparity, nor did I expect Ogden to be better off. I’m not an economist — and I don’t want to oversimplify this data — but Provo’s relatively low median income seems like one of the biggest obstacles to downtown revitalization, neighborhood gentrification, and generally improving quality of life. In the end, none of those things are going to happen if people in Provo don’t have the money to support them. And yet far as I can remember I’ve also never heard any discussion regarding this issue. Ever. Why is that? Though it may be a bit wonkish, this is extremely important because it directly impacts Provo’s ability to improve. Ultimately, wanting the city to improve and sprucing it up here and there is nice, but if Provo remains the poorest city in its class it’ll never be the most vibrant, lively, or successful. Check back in the coming days for follow-up posts on how Provo’s home values, poverty levels, business environment, etc. compare to these five cities. The Census Bureau now has pages for states and cities, and they include some fascinating data. For example, the Utah page reveals that the estimated population of the state in 2011 is 2,817,222. More significantly, 31.2 percent of the population is under 18 while 9.2 percent is over 65. Those numbers are higher and lower, respectively, than national averages, suggesting that Utah has and will continue to have a young workforce. And of course, that’s an economic advantage. Utah also has higher than average high school and college graduation rates and lower than average commute times. Provo’s page is even more illuminative. Over the last 10 years, for example, the city’s population has increased by 7 percent to 112,488. Provo’s under-18 population is lower than the state average, as is its over-65 population. Provo is 84.8 percent white, 15.2 percent Latino, and has very small percentages of other ethnicities. And as homogenous as those numbers are, they surprisingly indicate more diversity than the state as a whole. Additionally, a whopping 40.3 percent of Provo residents over the age of 25 had a bachelor’s degree, and the mean commute time was 16.6 minutes — which isn’t bad given the national and state averages. I’d recommend poking around this data; it’s fascinating and organized in an easy-to-read format. The data hints at why Utah and Provo are ranked highly for business; the workforce is young, educated and — given commute times — closer to economic centers than in other parts of the country. That last point shouldn’t be discounted; commuting time is often wasted time, economically speaking, which means shorter drives (or bus rides) mean higher productivity. This data also reveals that Provo may need to work harder to keep a competitive edge. If it has a lower population of children, for example, that suggests young families are gravitating to other cities. That might seem obvious just by looking at Utah County’s development over the last decade, but it’s nevertheless something that the city should try to combat over the next decade.